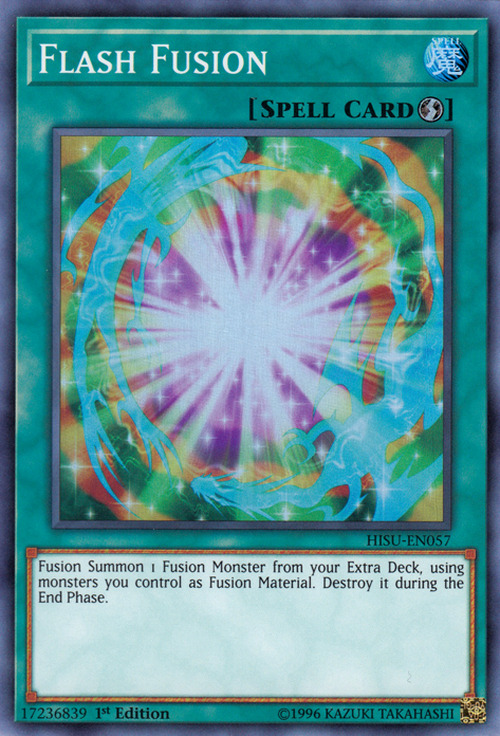 Fusion Summon 1 Fusion Monster from your Extra Deck, using monsters you control as Fusion Materials. Destroy it during the End Phase. This card can be considered a Quick-Play counterpart of Polymerization. 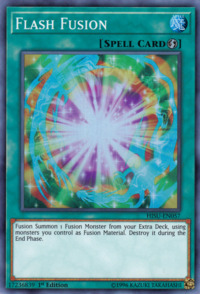 However, it can only access monsters the user controls and the monster summoned by this effect only lasts for one turn. This card's TCG/OCG name is due to Instant Fusion being released before this card. This card appears in the International anime artwork of Convert Contact.